Another day, another holiday… Welcome back to my adventure of learning how holidays are celebrated around the world! For this adventure, I’ll be taking a look at Easter! Easter is a religious based holiday, so it’s not surprising that many countries have similar Easter traditions. However, every country has their own history that they bring to the holiday, which makes for some fun and interesting traditions. 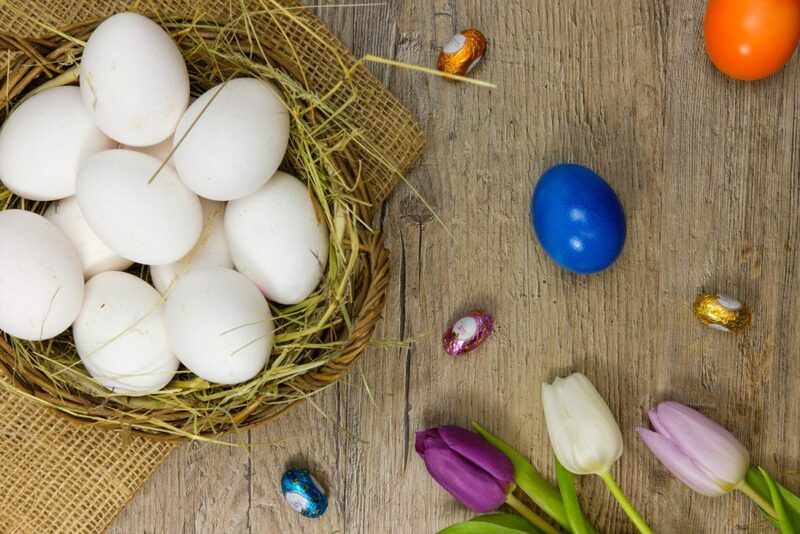 Let’s hear from some fellow travel bloggers how they celebrate Easter in their home country! Easter is part of the Christian celebration of Jesus Christ’s resurrection, so it’s no surprise that many people in the United States attend a church service on Easter Sunday. Many families will also get together and have lunch or dinner. Other non-religious celebrations include visits from the Easter bunny and Easter egg hunts. Growing up, the Easter bunny always visited my house and hid an Easter basket somewhere around the house. Since I’m terrible at finding things, I would usually spend a decent amount of time searching for it, and every now and then my mom would have to help me out. When found, it would be full of chocolate eggs and other chocolate goodies. Some Easter baskets also contain peeps, a chick shaped marshmallow treat which is popular around Easter. My dad would also arrange Easter egg hunts for me and my step-siblings. He would fill plastic eggs with chocolate and sometimes even money and hide them outside for us to find. Easter is a very big holiday in Greece, second only to Christmas. The traditions start with Lent fasting (that’s 40 days without meat or dairy) and lead up to the week of Easter. During that week even the people who didn’t follow the Lent fasting are fasting. This tradition is linked to church going and keeping things calm and easy as it’s a time of grieving. On Good Friday there is the Epitaph litany where all the Epitaphs from the churches are led out of the churches and into the road and the people follow it with lit candles. Then on Good Saturday there is a late night liturgy that ends at midnight with the Christ resurrection. People hold candles lit with the holy light and sing Christos Anesti (Christ has risen). During the day of Easter, there is the tradition of cooking a whole lamp on a large skewer and the whole family eats together. There are red dyed eggs and each person hits the egg of the one sitting next to him for good luck. He or she with the egg unbroken is the winner. Each place has different traditions but this is the general gist of it. Easter celebrations vary a lot across Italy. In several places, especially in the Southern part of the country, there’s usually a big procession on the evening of Good Friday, with statues of Christ and the Virgin Mary being paraded around the city. Many people go to Mass on Sunday morning at midnight, and then Sunday lunch is the time to celebrate with family. Traditional dishes served for lunch include roast lamb and an Easter cake called ‘Colomba’, similar to a panettone but with a glaze made of almonds and sugar on top. Colomba means dove in Italian, in reference to the cake’s shape. On Easter Monday, called ‘Pasquetta’ in Italian, it’s tradition to take a day trip out of the city for a picnic or lunch in the countryside – if the weather is good, that is! My parents go for midnight mass, and then we go to my grandmother’s place all together for Easter lunch. Besides roast lamb, we usually have a ‘torta pasqualina’, meaning Easter cake, a quiche filled with spinach, egg and ricotta. When I was younger we used to have an Easter egg hunt in my paternal grandmother’s garden – this isn’t an Italian tradition but my grandparents were Austrian and lived in the UK for a long time, and brought this ‘tradition’ to Italy with them. Because Christianity arrived relatively late in Finland, Finnish Easter traditions still contain many Pagan elements. 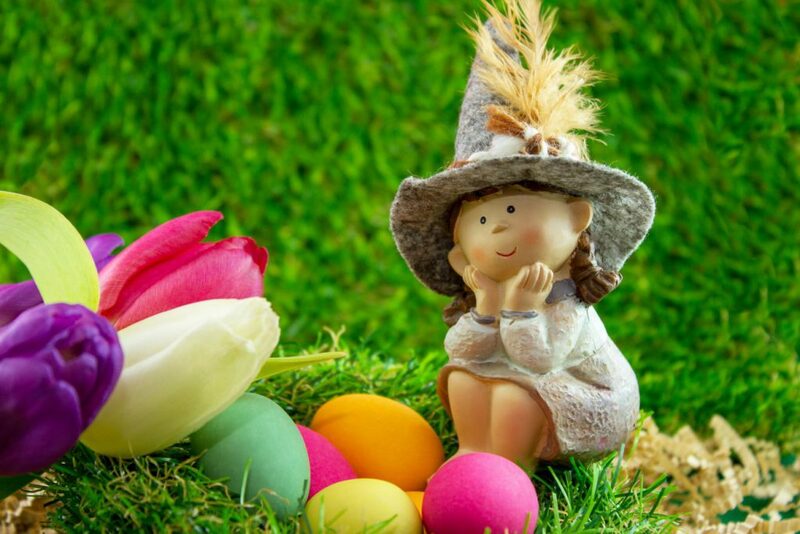 Two of the most prominent ones are Easter bonfires as well as the famous Easter witches. Large bonfires are put on in order to cleanse the community from evil spirits, particularly in Western Finland. In addition to going on Easter egg hunts, kids in Finland dress up as witches during Easter. They then go from house to house, equipped with decorated willow twigs, and exchange good blessings for sweet treats. Just as strange as the Finnish traditions, is Finnish Easter food. The most popular dish eaten on this day is mämmi, which is a malt and rye pudding. In order to make it more palatable, it is usually eaten with lots of cream or vanilla ice cream. In France, we celebrate Pâques on Sunday. Christians will go to church and the ceremonies are usually followed by big family gatherings and a festive meal. We usually eat lamb for lunch and will enjoy the food and the company for a good 3 to 4 hours. If like me you are from Alsace (north-eastern France) you will also eat a lamb shaped brioche for breakfast or an afternoon snack on Easter weekend. Both the Easter bunny and the Easter bells bring the chocolate eggs on their way back from the Vatican where they have been blessed by the Pope and grew a little pair of wings. We hide the sweet treats in the garden for the children to find. Good Friday is a bank holiday only in some parts of France but Easter Monday is a day off for everybody. 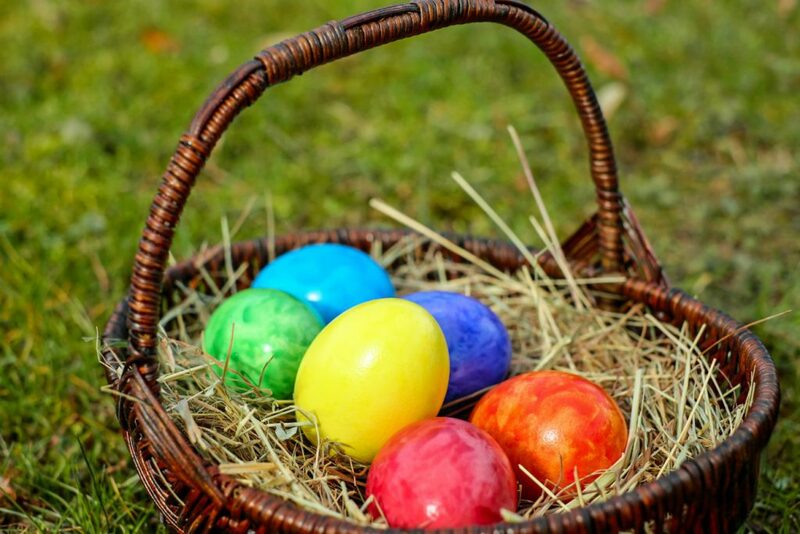 The most commonly known Easter tradition in Romania is the painting of the eggs. Pretty much everyone paints the eggs in red as it symbolizes Jesus’s blood. 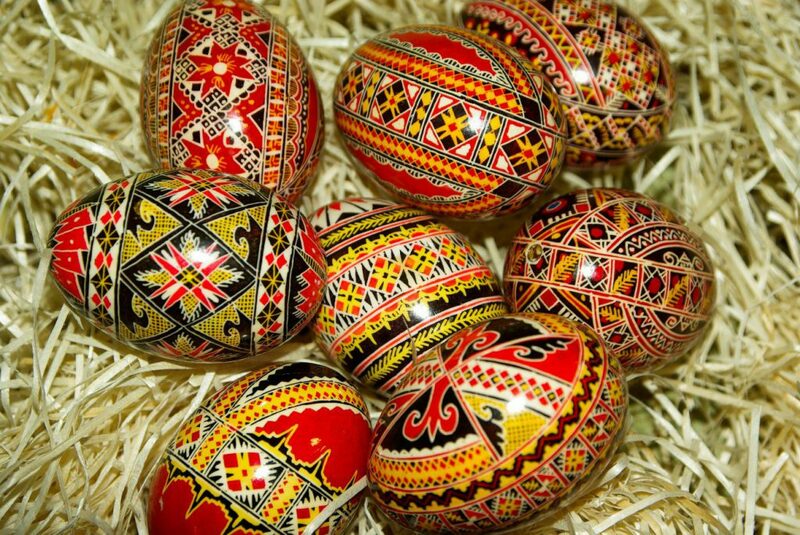 However, in various regions, you will find multi-colored eggs and intricate motifs. These are empty egg shells which are each painted manually. This takes a lot of practice and skill and not everyone can do it. It is mainly done by nuns and monks. The traditional Easter food in Romania is lamb meat. Some also bake a break filled with sweet cheese as well as a type of loaf with cocoa and turkish delight. The night before Easter, people go to church to light the candle and bring the resurrection light into their homes. On their way back from church, people would share the holy candle fire with others. It’s a pretty nice thing to do and it brings communities together. Very interesting and I love the way you had different bloggers contribute their local traditions. Lovely. Love seeing the different traditions! It makes me want to visit all of these countries at Easter…to eat all the good food and enjoy the celebrations! Definitely something I’d love to do in the future! Glad you could have such a cool experience! Wish I was able to see fireworks on Easter! Love the info about Finnish celebrations! 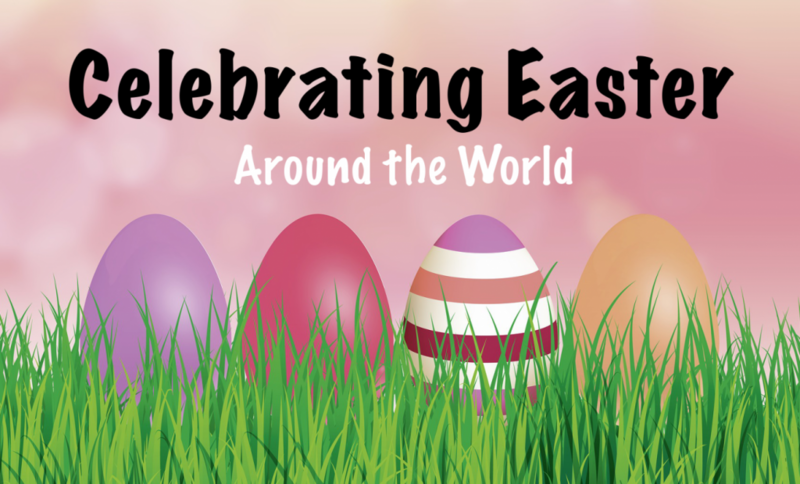 There’s a bunch of Spanish and Latin American celebrations you could add too, as well as maybe what happens on Easter Island! Eggciting. Great post! I’m familiar with how Easter is celebrated in the US but it was nice to see how other cultures around the world do. Very informative post. Gives great insight into the cultures and the traditions. How does one pronounce the Finnish word for Easter???! I actually do have one for Christmas! You can check it out here! 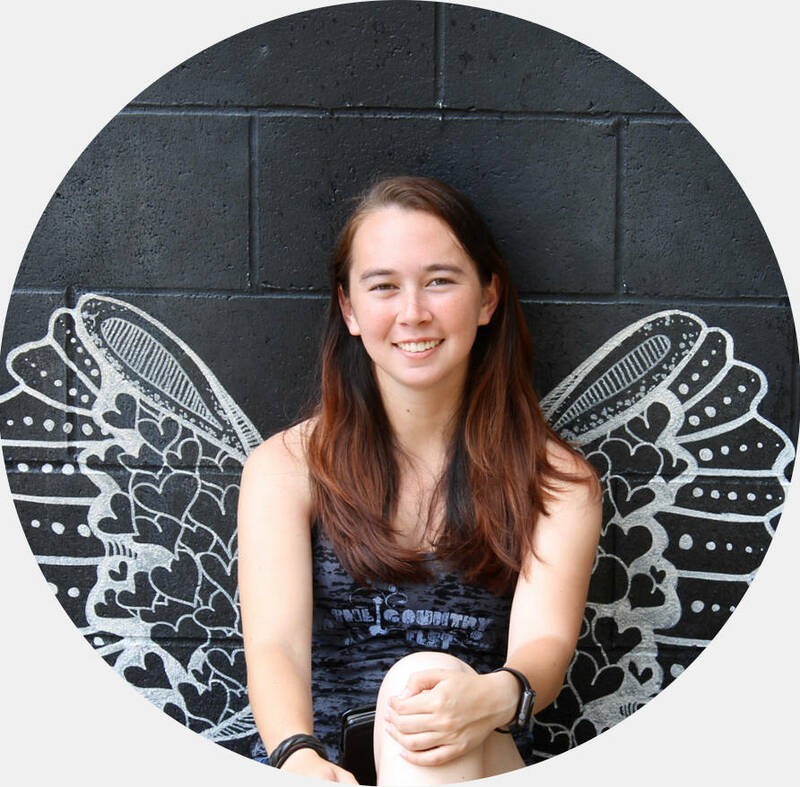 How interesting – and what a good idea for a blog post! I’m in Costa Rica at the moment and their easter is hella different to the UK – no aisles full of easter eggs for a start!